January | 2009 | MusicEdTech: Teach music. The technology will follow. 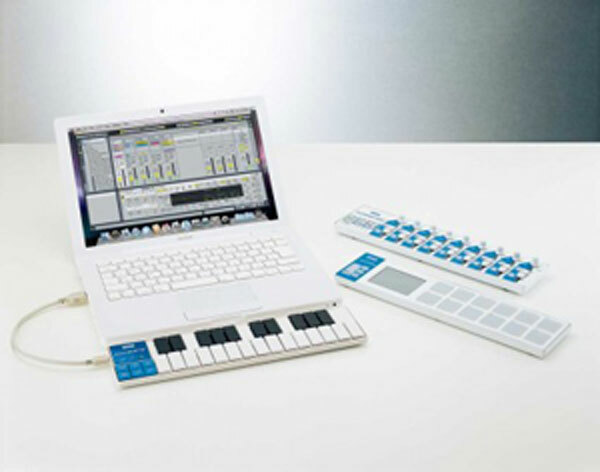 Korg has started shipping their newest line of potable USB products nanoSeries controllers. They are designed to be no wider than a standard laptop and fit beautifully into a laptop bag so you can make music anywhere, anytime. Click here for tech specs. For those of you who just HAVE to make music where ever you go, these babies were made for you. Grab one for around $50 retail, plug it into the USB port and you are ready to go. I plugged the nanoKey right into my iMac G5 and my Macbook Pro and it was instantly playable in GarageBand and Logic Pro. They are what they are; small, lightweight and portable so don’t try to compare these to any full sized keyboard. They have a decent feel and a good spring back to the pad action keys. At first, I thought they would be flimsy given their plastic construction. I wouldn’t want to drop them off a table (more one that later) but it’s a Korg product and Korg has been making fantastic keyboards for many years. I have used it for a few weeks with Logic Pro, GarageBand and Sibelius and just love it! These babies really hold up under use.